Guitar sheet music can be found in a lot of variations. There are piano/guitar/vocal sheets that typically have piano and vocal parts with guitar chords written over the top of the music stave so a guitar player can follow along. Since only chords are used, these sheets are pretty easy for guitar players who have little or no experience playing. Most of the piano/guitar/vocal sheets have chord diagrams that show the guitar player how to make the chords, which makes it even easier to play. 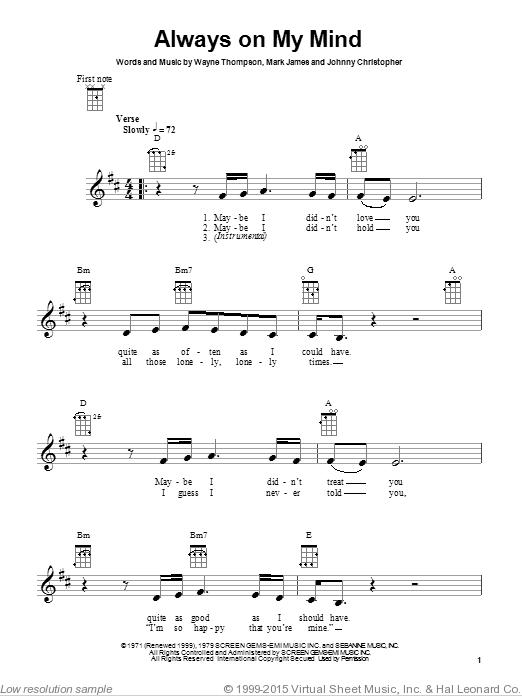 Easy guitar music can also be found in lead sheet form. A lead sheet is nothing more than lyrics with chords placed at the appropriate place over the lyrics. This is extremely easy guitar music to read, requiring nothing more than a knowledge of how to play some basic chords. A lot of web sites have tons of free guitar lead sheets and tab available. Finding the right music for your skill level just takes a little time. This is because the music typically isn’t categorized and requires that you look at it to determine whether or not it’s easy enough for you to play. Most beginning guitar players can tell pretty quickly if they are going to be able to play something. You can find easy guitar music for just about any type of song you want to play, whether it’s holiday songs, traditional or folk songs, rock, pop, or country. There are even simplified arrangements of classical song. A lot of songs in standard arrangement can still be played by a beginner as long as there are chords available to the arrangement. 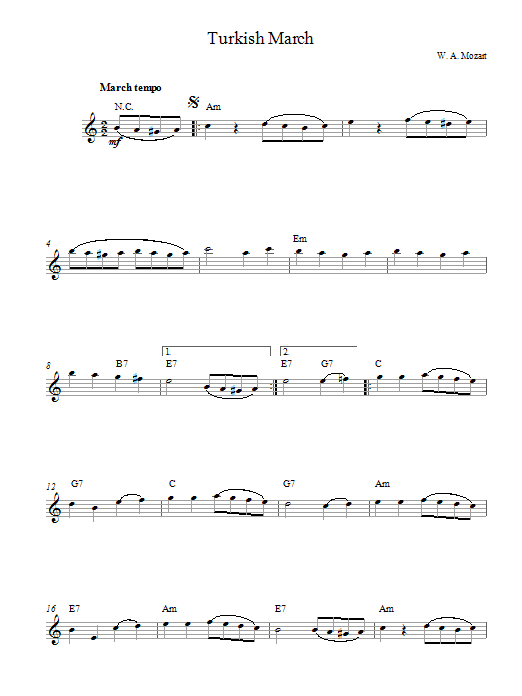 Below is an easy arrangement of a Mozart’s “Turkish March” written in a simple melody arrangement. The example below is a song sung by Elvis Presley among others. This is the version made popular by Willie Nelson. The original sheet music for this is much more complex. In this arrangement the melody is here, along with the chords. This is what is referred to as a stripped down version. The notes of the melody can be included with the chords to round out the arrangement. Easy guitar music is a great way for beginning guitar players to start playing right away. As you expand your abilities, you can turn these easy arrangements into more expanded versions by ear, or you can find fuller versions at any of the numerous guitar tab web sites. Give a few of these easy arrangements a try or look for your favorites. Playing your favorite songs at all skill levels is fun and a great way to develop your playing abilities.